Please note: The event will be live-streamed into overflow rooms in Woodburn Hall (Rm 111 and Rm 100) if IU Cinema reaches capacity. Mira Nair will address the issues she so passionately explores in her films, including the emotional and societal conflicts of competing worlds that is felt by millions of immigrants and ways to bridge the gap between cultures, races, and genders. Her lecture will be followed by a moderated Q&A. Mira Nair is a filmmaker completely grounded within the world she lives. Her films often explore the conflicts inherent with families of recent immigration and ways to bridge the gap between cultures, races, and genders. They challenge stereotypes and generational assumptions, while remaining grounded in the values she holds close. 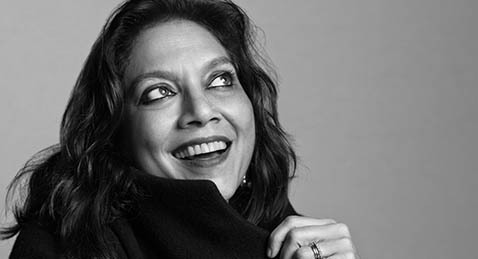 Born in India and educated at Delhi University and Harvard, her debut feature film, Salaam Bombay! (1988) was nominated for an Academy Award® for Best Foreign Language Film after winning the Camera D’Or at the Cannes Film Festival. Her next film, Mississippi Masala (1991), premiered at the Venice Film Festival. In 2001, Monsoon Wedding won the Golden Lion at the Venice Film Festival and went on to receive a Golden Globe® nomination for Best Foreign Language Film. With 12 feature films to her credit, her work continues to push boundaries and explore the human spirit. Ever sensitive to social issues, Mira Nair shares her energies between filmmaking and the two non-profit organizations she founded. In 1988, with the proceeds from the lm Salaam Bombay!, she established the Salaam Baalak Trust, which offers a safe and welcoming environment to thousands of street children every year. In 2005, Nair founded Maisha, a center in East Africa providing lm labs and workshops for aspiring screenwriters, directors, actors, technicians, and documentary makers coming from Uganda, Tanzania, Kenya, and Rwanda.